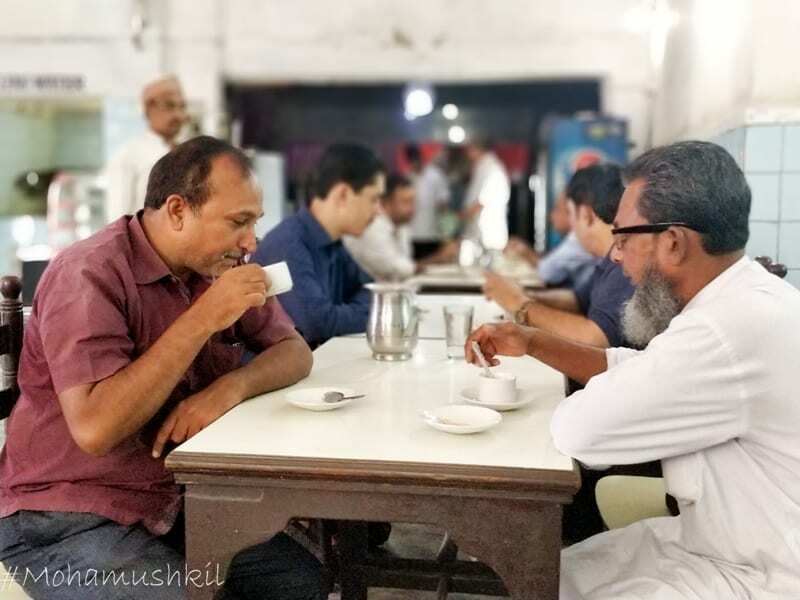 if winter comes, can THE Mughlai breakfast in Kolkata be far behind ? At last, after long prayers, winter has arrived at Kolkata. The fog is there to cover maidan and people have started wearing their customary monkey-caps. 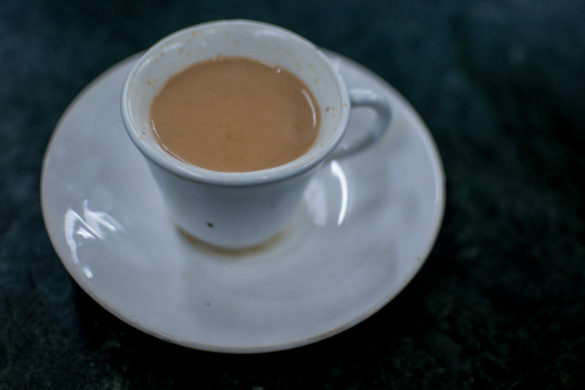 So, if winter comes, can THE Mughlai breakfast be far behind? 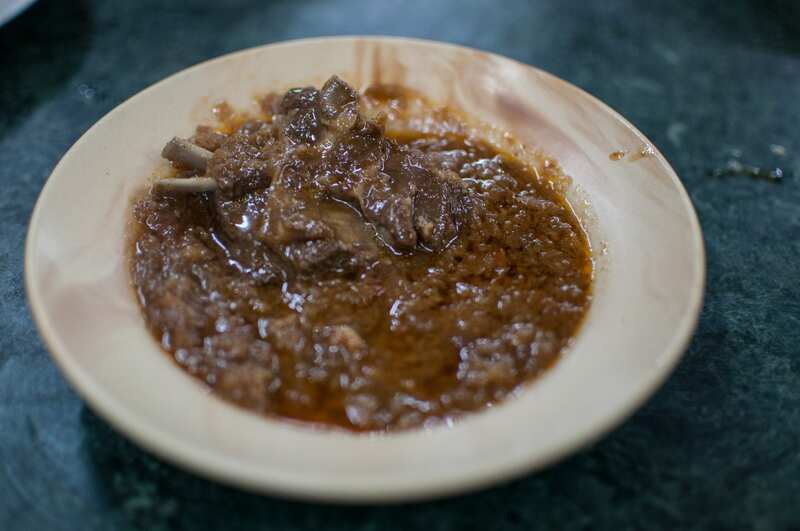 And, we set off one fine, gloomy morning for the Nihari-quest . Its a long distance from Phoolbagan to Nakhoda Masjid. But, for getting the best, you’ve to travel far (read somewhere). Our first stop is Sufia besides Nakhoda Masjid, Chitpur. As strange it may sound, Sufia opens at 430 AM. Now, please don’t ask me when do they start the cooking and all….. It operates from 430 AM- 1030 PM on all days. 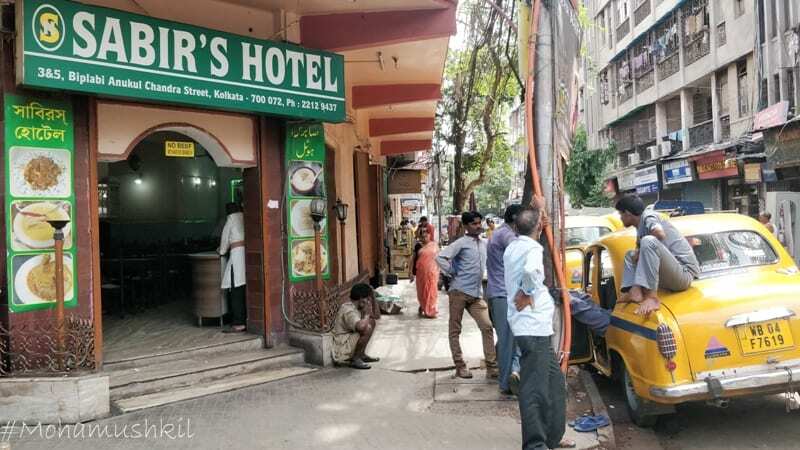 For reaching the same, either, you’ve to follow the tram-line from Poddar court towards chitpur and you’ll reach Nakhoda Masjid. Or, from central avenue-MG Road crossing, you’ve to take MG Road towards Howrah station and get down a the Nakhoda stoppage. Just on the lane beside Nakhoda, lies Sufia. The below picture depicts how it looks like at 5 15 AM on a standard winter morning. “The word Nihar originated from the Arabic word “Nahar” (Arabic: نهار‎) which means “morning” after sunrise Fajr prayers. 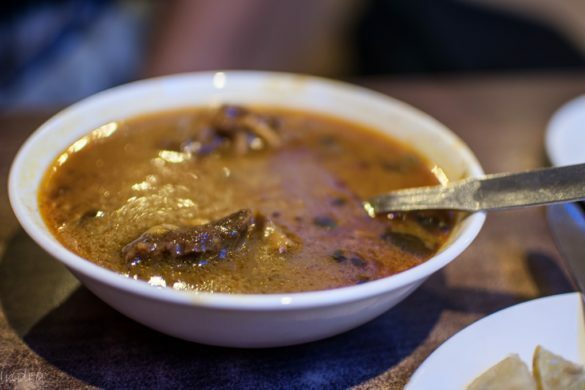 This dish was usually eaten in the early morning (puritans would indulge in this delicacy before sunrise, right after the Fajr prayers).” Basically Nihari is a slow-cooked (6-8 hours of cooking time) beef/ lamb dish garnished with cooked brain/ bone marrow traditionally cooked in earthen pots which is to be consumed before starting the day. Its normally taken with Poori/ Tandoori roti. The extreme oil quantity makes one energetic and ready for the day’s work (ideally). This dish is to be taken with some chopped coriander leaves and a slice of lemon (as per taste). The Sufiya Nihari is priced at 100/- for 2 big boneless beef chunks and lots of gravy with a fat/oil layer on top. For the Bravehearts, its pure foodgasm in the morning. 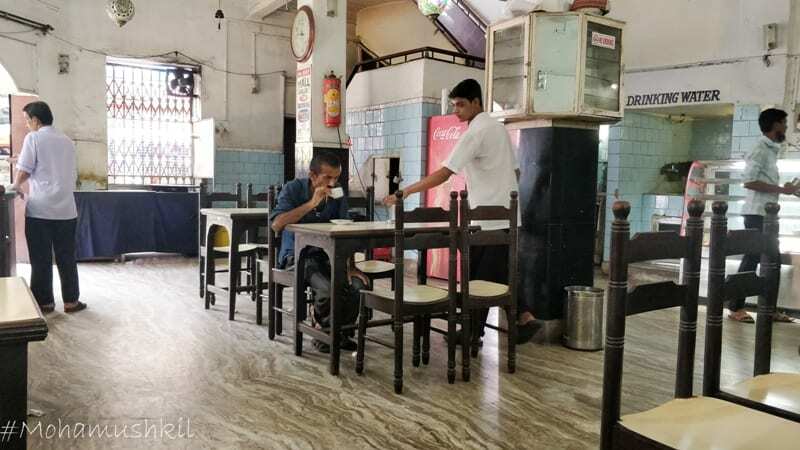 Once you get in the shop and take your seat, you’ll find a person with a large nihari gravy handi and lots of tiffin box/ containers getting filled up as per the requirement was written on top of them. 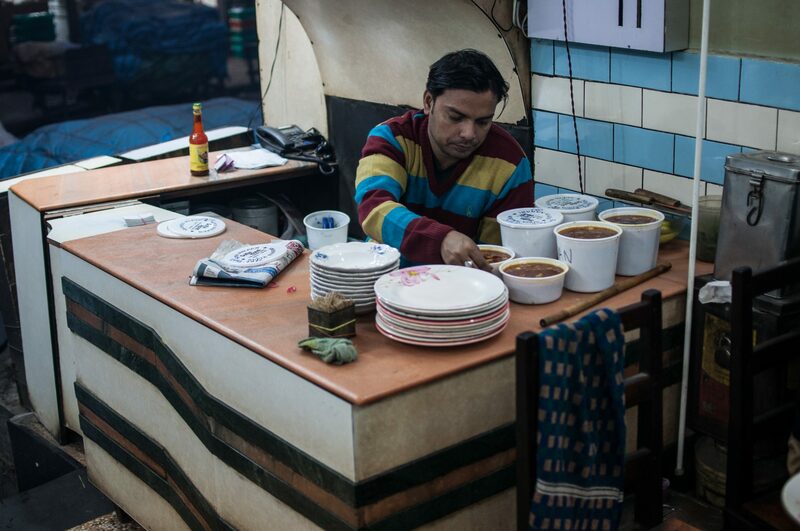 Pooris are being prepared alongside and tandoor is inside for rotis. 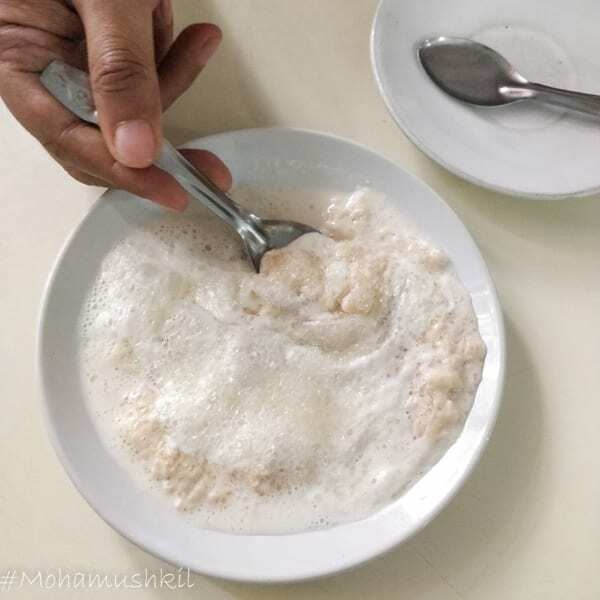 The second day, we leave for Shiraz, Mullikbazar for their breakfast offering. Now, please don’t start shouting at me that Shiraz is famous for biryani and they don’t prepare breakfast. Please be calm and you’ll find heaven there at 6 AM in the morning. Now, unlike Sufiya, Shiraz has got a pretty much posh ambiance, AC and sofas lined up, uniformed waiters (most of them serving there from last decade and knowing all the regular customers and their preferences). So, you can very well go there with your foodie girlfriend/ wife and enjoy the food. Now, once you take a sit, you get served the first accompaniment- chopped coriander leaves and lemon slice. 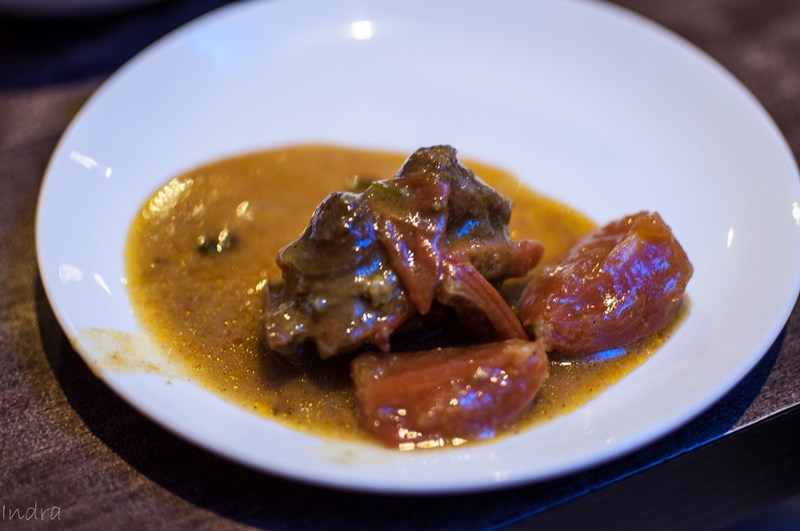 The first item that we ordered there was mutton tomato stew. Now, if you’re familiar, you’ll never expect this to be the pale continental stew that we are used to taking. This comes to you like a full-bodied woman ready to take you on the journey. 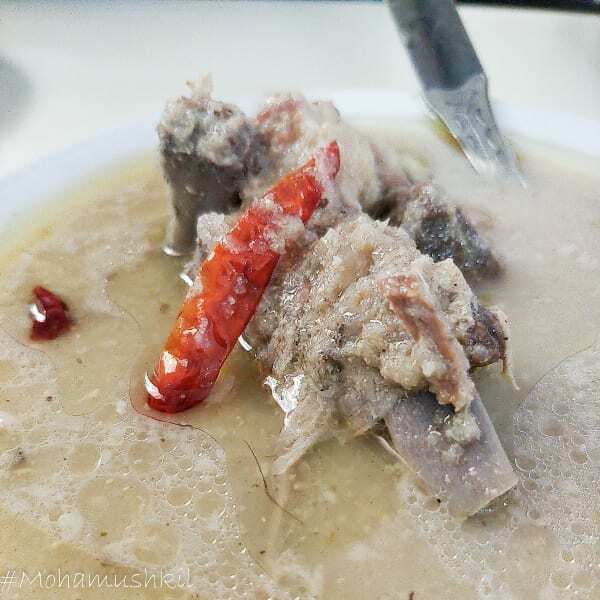 2 pcs of mutton and lots of gravy. 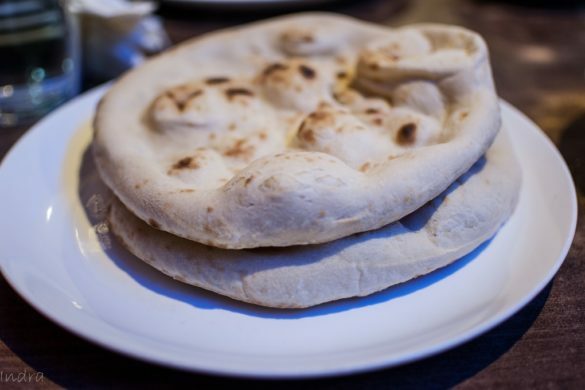 Pair it up with a tandoori roti (they serve it hot and crispy from the tandoor one by one) and there’s a pleasure. 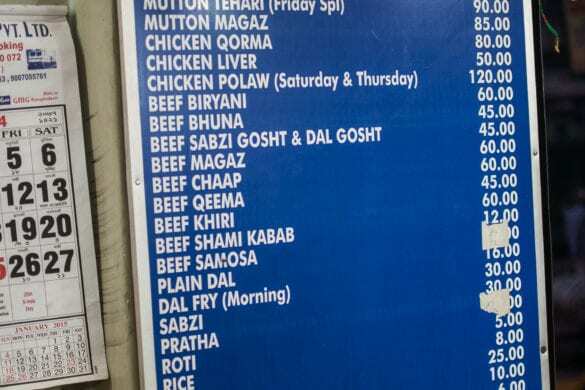 The second item that your friend should order is Dal-gosht. 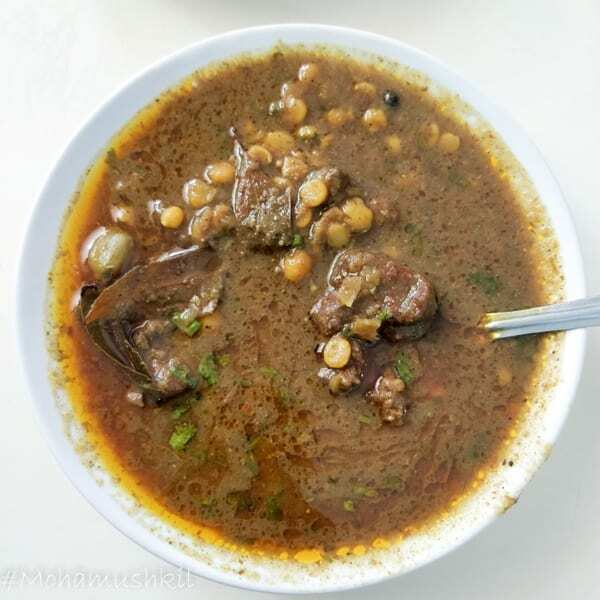 Its chana dal/ Bengal gram dal cooked with mutton over a slow fire and the two, after the process, behaves as star-crossed lovers- never leaving a trail of one another. Full-bodied and it takes over you. 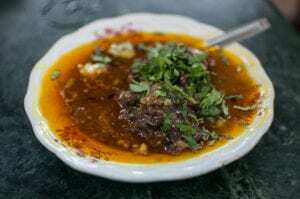 the next item that we tasted there was their mutton Kalia. Now, comparing with the last few items, Kalia was very mild and has a special taste. Its like, if you remember the shy first-bencher of your college/school who didn’t go beyond the study books and some shy glances. Remember, how she possessed a mild charm with her where-ever she went- this Kalia is like that. Lightly spiced, yet to be remembered. These above items go very well with tandoori roti or their special laccha parota and to be gobbled down with their special irani chai. 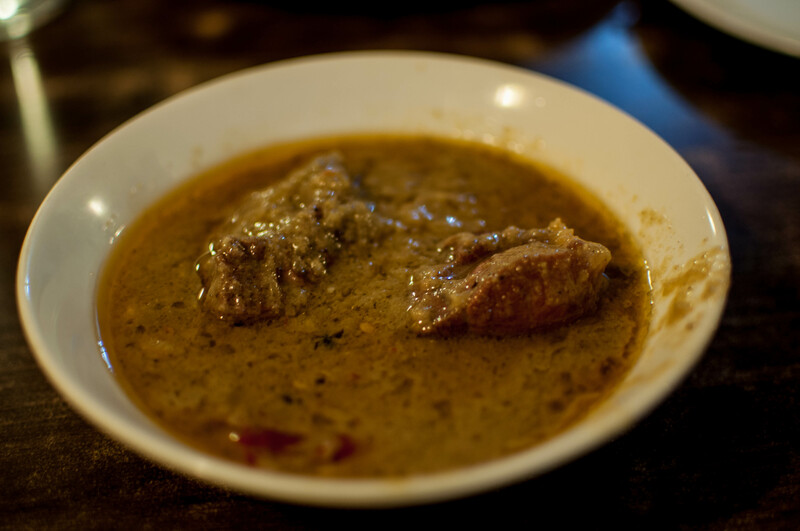 the last but not the least was the Mutton paya. Please beware, this dish is in highest demand and gets over by 630 AM. 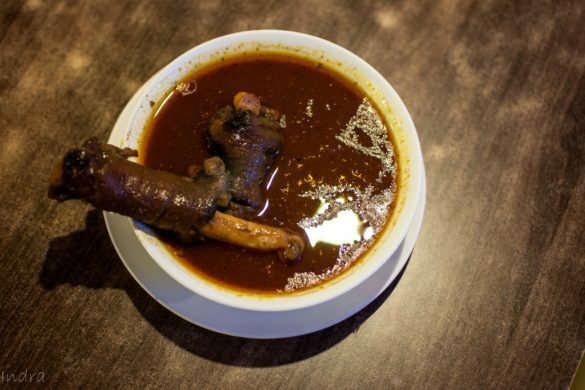 Its basically a lamb trotter/hoof curry (or rather soup) from Pakistan. Its normally cooked over slow fire overnight and gets a soup-like consistency. To be eaten by tandoori roti/ naan- its the ultimate goal of the morning visit. And, please trust me, shiraz makes like no other at least in Kolkata, at least I personally feel so. 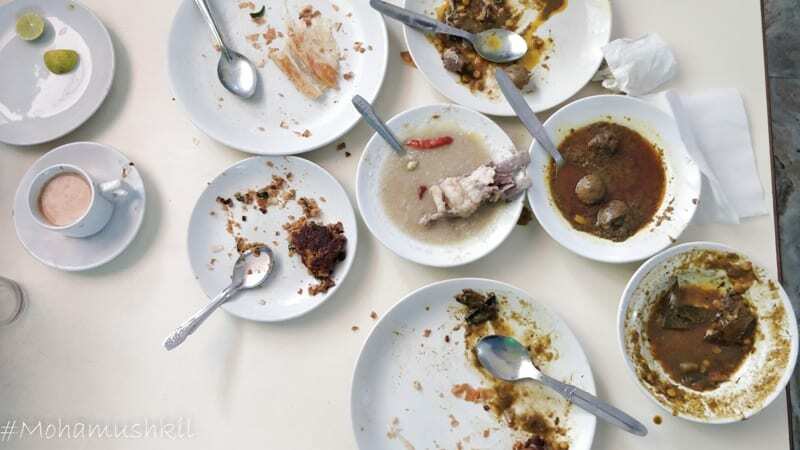 Chomped the meat piece, slurped the soup, wiped the bottom of the deep-bellied plate with the last of the roti piece and off we go facing the world outside. 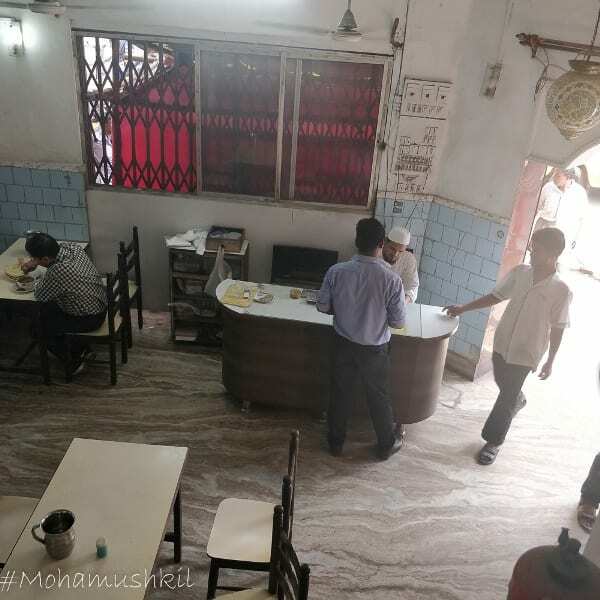 Long live Kolkata Mughlai Breakfast. And, the next place is Beeru’s, serving some amazing breakfast near Ripon Street and Eliot Road crossing. And, considering the quality, it deserves a special separate blog post …..
Sabir is known for their Rezala. Yes, everybody knows that. And definitely, that deserves a separate blog post on that. But few know that there is a surprisingly good breakfast here. Sabir opens up for breakfast from around 6 in the morning and the items last till 9. One can easily expect a heavy influx of Pathans here as well over the breakfast. This is a pretty old and popular joint and almost everybody knows this. But still you can check the location on Google map here. For breakfast, I prefer Tandoori roti, almost always. But Sabir makes a fabulous Parantha. missing which is a sin. 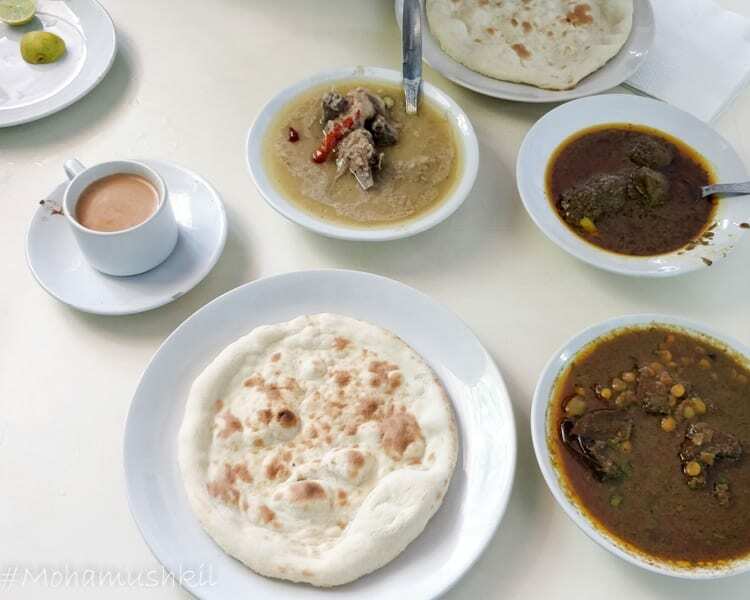 And over breakfast, my choice is Dal Gosht. 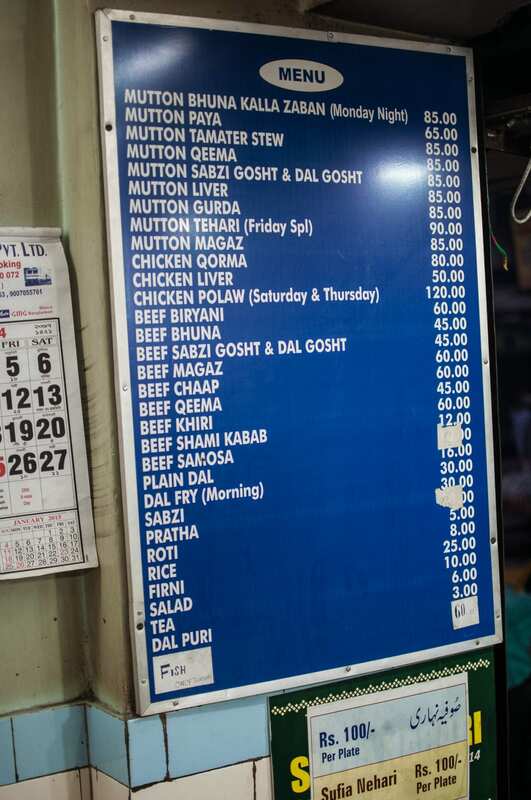 Sabir doesn’t serve beef, so all mutton here. 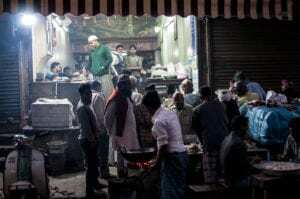 And they make a chana Dal cooked with mutton chunks with an overdose of Jeera and I love that Dal gosht. The next item that has should be ordered is their Gurda Kaleji. 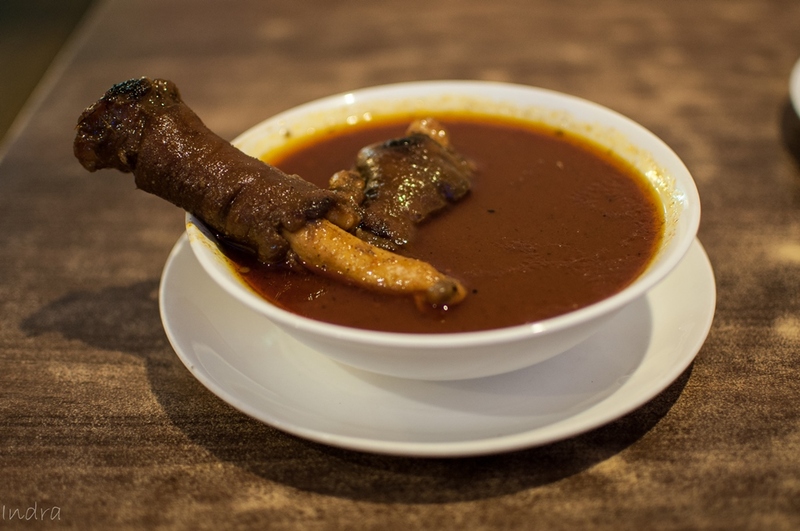 The Kidney meat and liver pcs are cooked in gravy and it’s quite likable. 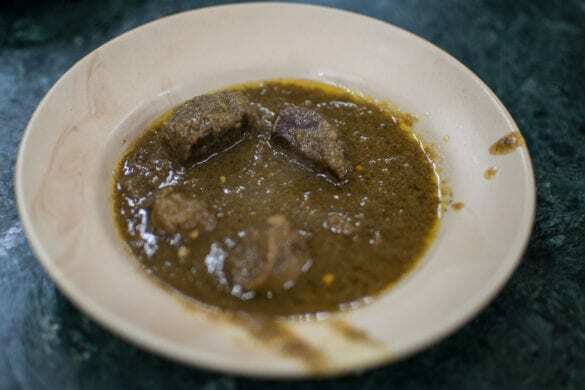 But for somebody coming around 9 and with a smiling request, the waiter might feel pity and serve you their first batch of Mutton Rezala and Tikia. 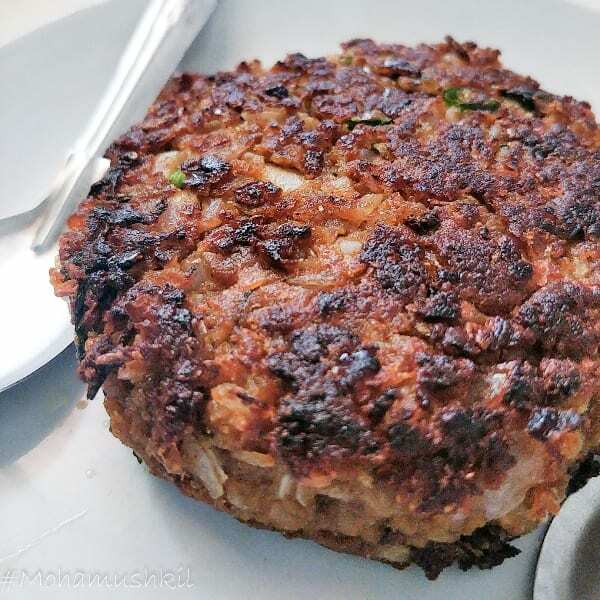 The tikia, unlike other places, is a dry shami kebab and is simply outstanding. The chopped onion and minced green chilies can be felt and that takes it to a different level. 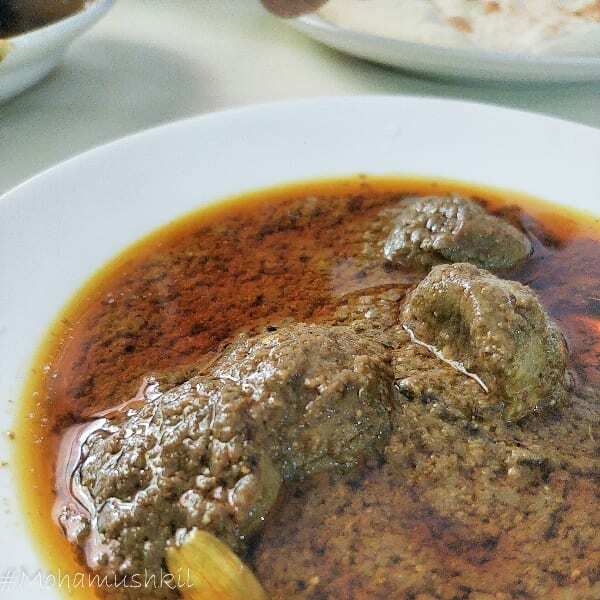 The Rezala or the watery light gravy with fatty mutton pcs is what Sabir has achieved its immortality for. And the morning first batch is simply the best of the day- period. 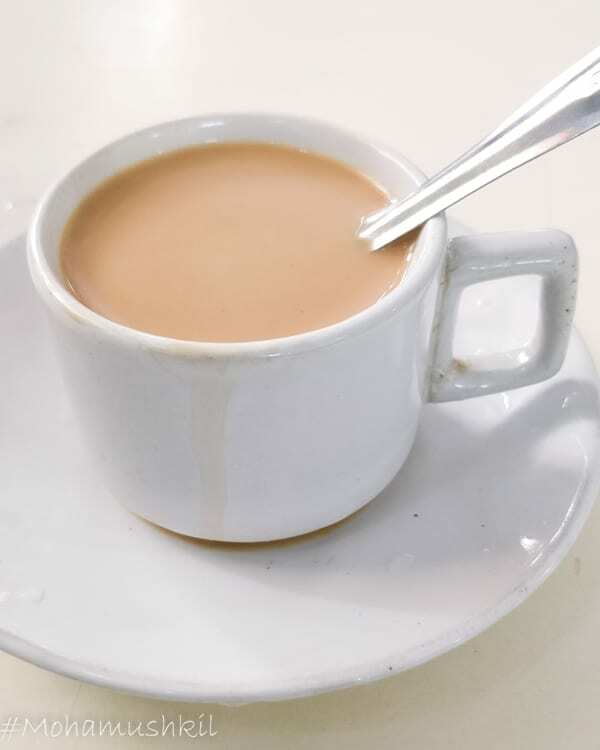 Definitely, go for their Pani Kum chai (tea with less water and more of milk) and some malai (topped with coarse granulated sugar) and you’ll be a happy person. Okay, as they say, that’s all folks and this post will be updated in future with new places and adventures.